As you could read in my previous post, the fashion industry is one of the industries heavily disrupted by digital transformation. New players like Zalando and Vente-Exclusive became very important very quickly, and it doesn’t look like offline fashion retailers have found a solution to this new competition just yet. The online shopper is quite rational and price-sensitive, something both previous mentioned retailers understand and use to their advantage. Traditional retailers are struggling to compete online and are failing to meet Zalando’s combination of price, product range and delivery options, or Vente Exclusive’s temporary offers. Traditional (offline), mortar stores compete strongly on the shop experience, and the price premium consumers are willing to pay. The same product can be sold for a higher price because of a different (not per se better) instore experience, customer service or store image. An online price premium for a product will be very hard to claim, if not directly linked to a better service such as faster delivery. The challenge lies in creating a unique, online shopper experience, bridging the gap between on- and offline. “The Cloakroom” does just that. The Cloakroom, a Dutch company, claims to combine (some of the) advantages of online and offline shopping. As I was in need for a decent holiday outfit, I decided to give it a try a couple of weeks ago. The set-up is quite easy: you register with some basic information and take a ‘style quiz’ where you select different pictures of models dressed in a specific style. For different occasions, you select different outfits (pictures) you would wear: costume, business smart, casual smart, sportive, chique ... Based on your profile, a personal shopper reaches out to you. I received an e-mail and telephone call from Ilona. She introduced herself and the Cloakroom, explaining that based on our facebook connection (pictures), our talk (needs) and my style quiz, she would select 3 outfits and send them to me in a box, free of charge. We discussed what I was looking for, price range and style, and my box was delivered only a couple of days later. The box came with a personal letter from Ilona, instructions for products I wanted to return and a price list. Was I 100% satisfied with what Ilona sent me? No. Would it have been totally free if I would have returned everything? Yes. It is however hard to return everything, as it would feel like saying they did a terrible job, which they didn't. I decided to keep one outfit I really liked and returned the other products - transport costs are paid for by The Cloakroom in advance. For the pieces I returned, the reason why was asked in order to improve the next box. For the pieces I kept, I paid the (offline) retailer price. If I looked for the exact same products online, I probably would have been able to save some money. Because of the concept, however, I was prepared to pay the online price premium. Combining this personal approach (who doesn't like a personal shopper you don't actually need to go shopping with?) with the advantages of online shopping (speed, convenience, no overcrowded stores) is a winning strategy for digital native (and probably a lot of other) men. It isn't a suprise that there are some competitors out there, Outfittery to name one. 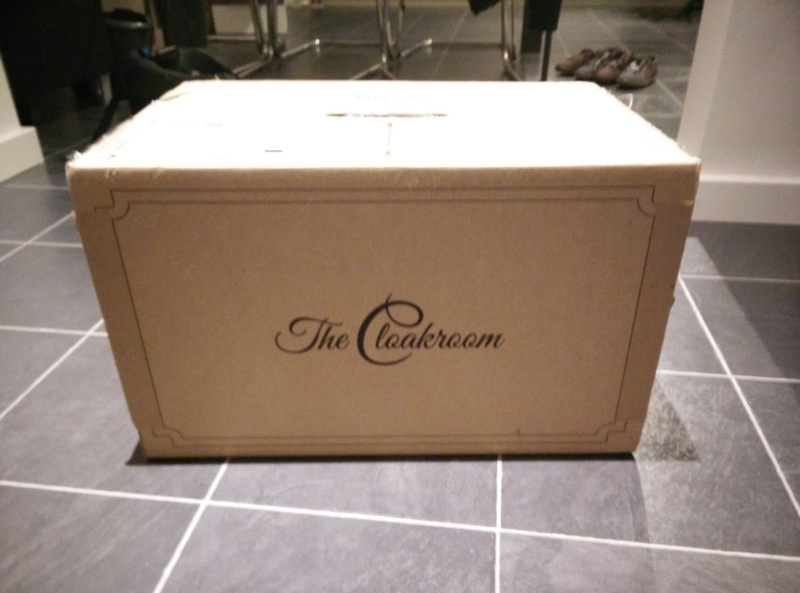 The Cloakroom succeeded in turning an offline service into an online USP. Of course there is room for improvement, but I I'm hooked on the concept. I'm not a mirror-selfie fan, but I'll make an exception for Ilona. A late merry christmas, and let's enter 2015 in style!